A homestay experience in India is certainly one of the best ways to observe how the locals live in a residential area like Delhi’s South Extension Part II. On the first morning, our host took us on a walking tour of the neighbourhood to show us the shortcut to the provision stores and nearby shopping areas. My family and I were amazed to see an eclectic mix of local businesses alongside international brands in rows of shops with street food and fashion accessory vendors parked on the pavements. There was even a Marks & Spencer outlet in a separate building! With Delhi as our base, we made day trips to Jaipur in Rajasthan state and to Agra in Uttar Pradesh state to see the renowned Taj Mahal. We had an exciting Indian experience – and more, as we walked about, drove around, explored sites and savoured the delicious cuisine. At the end of our stay, we are more than familiar with the constant honking in the streets (despite the many signs reminding drivers not to honk), as part of India’s way of life. Here are ten things that are happening only in India. While manual labour is readily available in India, it’s interesting that the building construction industry usually employs a female workforce. It was amusing that these hardworking women at a construction site in South-Ex II, also thought that we were a curious sight. As I watched them, I believe they must have such strong backs and necks because one of the women carried nine bricks on her head! In India, cows are revered as sacred animals. The cow earned its place of honour in this agricultural region because it was heavily relied on for providing dairy products while its manure was used as fertilizer and fuel. The cows’ exalted position gives them the right to roam the streets and we watched in amazement as drivers skillfully avoided near-miss collisions as they steered around these animals on busy streets. This crisps and nuts vendor near the India Gates reminded me of our traditional kacang-puteh man in Malaysia who has since disappeared from our city streets. I always wondered how the vendor kept his roasted products fresh and crispy in such humid weather when they are stored in open containers… For this vendor, I guess the plastic spoons are not just for decoration but used to spoon the customers required quantity? On our drive to Jaipur in Rajasthan state, we spotted many camel driven carts like this. It was good that this camel cart had a dedicated lane that ran parallel to the road. At the expressway tollgates, we saw these graceful working animals joining the queue with trucks, auto-scooters and cars for their turn to pay the required toll. I wonder how much toll was charged per camel cart? From the number of vendors spotted all over the city, we can safely conclude that freshly toasted corn-on-the-cob must a popular snack here. This “corn man” was parked right in front of a McDonald’s outlet at South-Ex II where customers clearly preferred his corn to a McD product. Charcoal toasted corn must be tasty but I wondered why they didn’t toast the corn on a metal grill but directly on the charcoal? Walking around the shops in South-Ex II, I saw street food vendors selling a range of fruit juices, chai and fast foods like momos – small dumplings that resembled Chinese pau – and Indian sweet and savoury snacks. This vendor offered a choice of freshly made gulab jamun, samosa, fried bread pakora and jalebi with a range of Indian sweets in the showcase behind. 7. Beware of these trucks! India is renowned for lawlessness on the roads and driving in the opposite direction on a dual-carriageway, simply takes the cake! On the drive to Jaipur, imagine our horror when we saw a cement-mixer truck hurtling towards us! Thankfully, our driver was safely on the next lane of the dual-carriageway and left enough space for that rogue truck to pass in the opposite direction. While we saw stalls that sold motorbike helmets, very rarely did we see riders wearing helmets in India. Women pillion riders, always sat sideways on the motorbike and elegantly kept their saris around them as the bikes wove through thick traffic. On our way back from Agra, I caught sight of this rider who was comfortably carrying not one or two but three passengers! Mobile green grocers provide a convenient service in residential areas and I could not help but pause to look closer at the range of fresh vegetables for sale. While we are familiar with the dacing type of hanging weighing scale, it was rare to see a vintage-looking 2-pan balance weighing scale. It was interesting that this vendor still used this traditional balance scale with a range of standard mass weights to weigh his products. Too lazy to switch on your electric iron to press your clothes? Then take it to the “iron man” who has been operating his ironing business at South-Ex II for the past 22 years. It was fascinating to watch them preparing their heavy traditional irons filled with charcoal embers before pressing garments flawlessly smooth. His daughter, who speaks English, said their charges are 4 Rupees (25 sen) for a small garment and 5 Rupees for a larger piece. Since Pot’s Industries moved away from Jalan Skudai, I was keen to find them again and when I got wind that it had reopened at Southkey, it was my sister who kept pushing me to track them down. A closer look to spot the name "Pot's" on the balcony! When our family was heading out for dinner one evening, my sister suggested that we explore Southkey to find Pot’s. So I drove to Jalan Bakar Batu and took a few wrong turns inside the commercial centre before accidentally turning into a side road that led to an open carpark. It was already getting dark and the street lighting as well as the security (foreign) personnel, were not very helpful. I drove very slowly to let my sister read the signboards and was about to give up because our stomachs were already growling and impatient for some food. Determined to find it, I slowed to a crawl to help look around. I don’t know what made me look up but I suddenly spotted a well-lighted balcony. There was a discreet sign and almost illegible in the semi-darkness but I clearly recognized it as Pot’s! Check out the bookcase on the front of the counter! The staff warmly welcomed us and once seated, we studied the menu – seeking out familiar favourites – and realized that while many items are still on the menu, there were some changes. While the space in the new premises is smaller, there is still an outdoor section on the balcony and an indoor air-conditioned dining hall. A glass panel between the dining hall and the kitchen created an “open kitchen” concept that allowed diners to have a view of what was going on with their food preparation. After placing our meal order, I took my time to look around and was pleased that Pot’s still maintained its aim in encouraging reading. The entire length of the counter was a bookcase where diners were encouraged to borrow books to read and chill out over food or a cup of freshly brewed coffee. Unable to resist the pull of good books, I asked the staff about the borrowing/renting policy and was told that I could take any number of books and return them when I’m done. Maybe he made a note of the book titles for reference but I got the vibe of a great deal of trust and cool camaraderie that prevails in Pot’s. When our meal was served, we couldn’t help the natural inclination to consider if there was anything different but as we ate, we agreed that it still tasted like the original Pot’s menu that we so enjoyed. I turned to see Izzat Talip, the man behind the Pot’s team, and he was wearing an apron over a T-shirt with the word, “PANTRY” peeking out from behind the apron. It suddenly dawned on me that he was working in the kitchen and could only come out to say “Hello” when all the meal orders were served. I congratulated him and his wife, Klux (who was not there!) on the opening of Pot’s at Southkey. We had a quick chat about the happenings among cafes in JB and what else was new, and Izzat introduced me to Pot’s Mealbox takeaway service. Izzat said their Mealbox service is popular with diners who are familiar with their food and especially with people who prefer to enjoy their lunch in the comfort of their office. Due to heavy traffic or time constraints, now a taste of Pot’s for lunch may be delivered instead of them coming out in such warm weather! Pot’s Mealbox takeaways are delivered with a small charge of RM3 to RM5 to various destinations along Jalan Tebrau and into the heart of the city. To make the deliveries more viable, they accept a minimum of two Mealbox orders. This was emblazoned on the kitchen door! Even though they have moved to different locations, Izzat was deeply touched by the support, love and loyalty of diners who enjoy their Halal menu of salads, sandwiches, pasta, drinks and desserts. Considering the number of occupied tables and new arrivals of diners in the cafe, it looked like more and more fans of Pot’s are finding their way to Pot’s at Southkey! Pot’s is located at Unit A-2-52, Pusat Komersial Bayu Tasek, Persiaran Southkey, Kota Southkey, JB. Open daily, 4pm to 12am and closed on Monday. For reservations and to order Mealbox takeaways, Tel: +6016 – 7811845. Mealbox orders by telephone or WhatsApp, should be made a day in advance or before 9am on the delivery day. JB Arts Fest is here again! 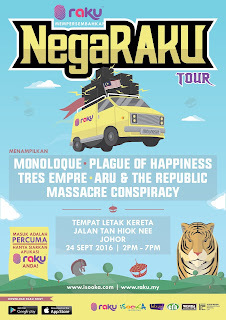 The Johor Baru Arts Festival is back again in more ways than one. The annual arts fest is presented for the 13th time in JB and once again, held in the heart of the city! The 13th JB Arts Fest, the anchor festival under the Johor Baru: International Festival City (JB:IFC) project started in 2015, kicked off on September 21 and is now on for three weeks till October 8. There is something for everyone in the free and ticketed events organized across a wide range of disciplines and genres that feature music, dance, theatre, comedy, visual arts, fashion and film. 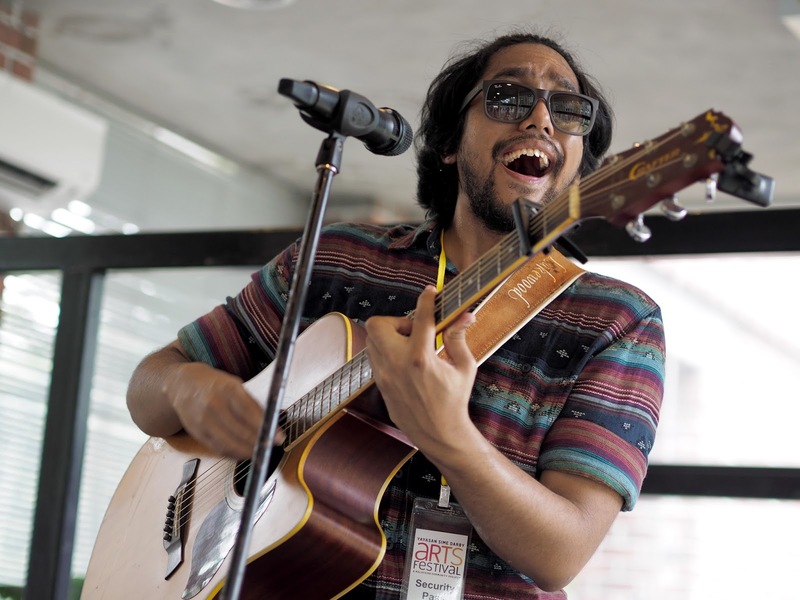 This year’s Arts Fest is distinctly different as it compels attendees to explore the city’s heritage quarter where over 50 events are held at various venues. Events are held mainly at Jalan Dhoby, JalanTan Hiok Nee, Jalan Pahang and Jalan Trus with many attractions happening, not only in the cafés and on the streets but also in its back-lanes! So if you have never been there, this is an excellent opportunity to discover and experience the nostalgia in retro-fitted, vintage and cool cafes in JB’s heritage quarter. Check out the unique charm of destinations like EH HE Art Café, Koone, The Replacement – Lodge & Kitchen, Calypso Vintage, Maco Vintage, Bev C, Art 52, Drums Café, Chaiwalla & Co. Container Café, Alicafé Specialty Coffee, Fork & Dagger, Dezert @ 19, IT ROO Café and Roost Repurposed & Recycled café. From Sept 24 onwards, the Johor Sketchers will be collecting stories from the people at Jalan Trus, Jalan Pahang, Jalan Dhoby and Jalan Tan Hiok Nee through a “sketch-walk.” In the Johor Baru Sketchwalk & Postcards for Stories, artists will sketch scenes of the city on location and these stories will be displayed on a Story Map Mural inside the ThinkCITY office on Jalan Pahang. Between Sept 25 and Oct 1, a pop-up craft workshop and demonstration by Kraftangan Malaysia will be open to the public all day-long at Fork & Dagger café, Jalan Dhoby. Also from Sept 25, see what artists Adeputra, Akeem Keroncong, Low Shi Jian and Pauline See are doing to create a mural on The Bangsa Johor Wall at Jalan Tan Hiok Nee. Check out Jalan Dhoby and Jalan Pahang to see how the wall mural project by Fiqqyfresh is taking shape and don’t miss the pop-up park happening in the back-lane of Jalan Pahang! Spot freestyle saxophonist, Keyin Tay, as she performs on the streets and various cafes at Jalan Dhoby and Jalan Tan Hiok Nee. Tay started playing the saxophone when she joined the Sultan Ibrahim Girls (SIGS) Marching Band in 2001. Her hard work paid off with various successes in talent competitions and was crowned Female Champion in the “Show Off Talent Search 2015, Season 3.” Catch her in Sax on the Move that starts at 3pm on Saturday, Oct 1. The 13th JB Arts Fest celebrates the life and work of film-maker Yasmin Ahmad, who sought to bring together Malaysians of every gender, ethnicity and persuasion. 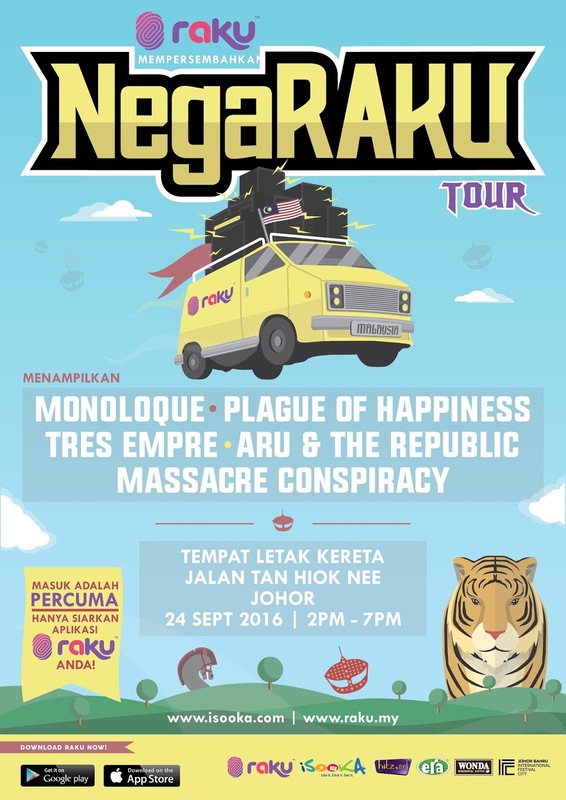 Join movie buffs to revisit the stories that prompted us to think and feel what it truly means to be Malaysian. 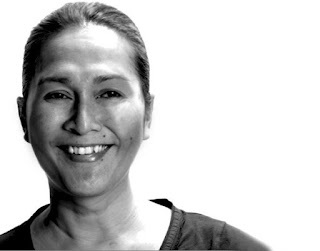 Remembering Yasmin will happen in Bev C café on Jalan Tan Hiok Nee at 8pm on Oct 1 & 2, the programme includes screenings of Sepet (2004), Gubra (2006) and Muallaf (2008), followed by sharing sessions with Yasmin’s sister, Datin Orked. On Friday, Oct 7, chill out at Roost Repurposed & Recycled café in a music showcase featuring talents like singer-song writer, Hameer Zawawi (8pm) followed by multiple award-winning singer-song writer, Najwa (8.30pm). Fans can thrill to a truly up-close and personal experience when these talented artistes perform in a casual café setting. The 13th JB Arts Fest opened with a jazz show by the Angelika Niescier Jazz Trio in the ballroom of the DoubleTree by Hilton Johor Baru. Together with bassist, Matthias Akeo Nowak and drummer, Christoph Hillmann, saxophonist Angelika Niescier performed an interesting and enthralling showcase of her own compositions. The arts fest rolled onto its second day with blues-based group, Jamie Wilson Trio who rocked the house with their interpretation of familiar jazz, rock, funk and soul favourites. With Jamie on his Yamaha electric guitar, John Thomas on drums and Andy Peterson on bass guitar, the trio thrilled the audience with skillful improvisations and solo segments. The showcase was enhanced by vocalist, Evelyn Feroza Fernandez, whose dulcet tones enchanted the appreciative audience way into the night! 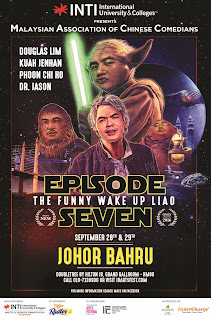 The popular comedians from the Malaysian Association of Chinese Comedians (MACC) are back at the JB Arts Fest again, this time with a new show (a spoof of the Star Wars series!) entitled Episode Seven – The Funny Wake Up Liao. Two ticketed shows at 8.30pm on Sept 28 and 29, will be held at the DoubleTree by Hilton JB. Electronic music fans cannot miss Austrian Electronica Duo, HVOB, made up of Anna Muller and Paul Wallner, at 9.30pm on Thursday, Sept 29 at Cache Lounge & Rooftop Bar, at Jalan Ngee Heng. Local talents, KBnL and Shelhiel, lead in the opening act. Fashionistas book your seats for Perspective: The Runway, a fashion show at 7pm held in DoubleTree by Hilton JB on Friday, Oct 7. Joining home-grown designer brands like Bev C and Al-kaftan, are Glancez, Ying the Label, A-Jane, Seraphina S., Undefine, Ellysage, Andy Chan Hair Studio, Unique Expired and Adrian and Erika Tan. At 10.30pm the same evening, Semalam Di Malaya featuring Ushera, pays tribute to the contemporary Malaysian music scene of pre-independent Malaya in the 1940s and 1950s. Note: VVIP [Front row] and VIP [Second row] ticket holders for The Runway have complimentary entry to the next event, Semalam Di Malaya, held in the hotel. Founder of the Johor Society of the Performing Arts, Yap Siong Cheng, said that the JB:IFC was a natural step forward, following the strong foundations laid by the JB Arts Fest as one of the longest running arts festivals in Malaysia. 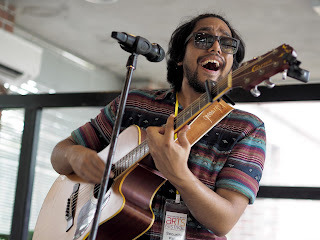 “By working with everyone who wants to get involved, such as café owners and local performers, the JB Arts Festival becomes a festival that is truly for the people of JB, by the people of JB,” said Yap. So don’t miss this opportunity to enjoy your own pick from visual to performing arts, handicraft exhibitions and workshops, to talks and forums, brought to you all within walking distance in the heart of JB. Evening parking at DoubleTree by Hilton JB is a flat rate of RM4 only, so use your Touch 'n Go cash card for your convenience. Tickets may be bought from ThinkCITY office at No. 8 Jalan Pahang, 80000 Johor Baru or pre-booked by calling Tel: 019 – 7139900. Since last year I heard rather often, among different circles of people, the name Think City, and about what they were doing in Johor Baru. It piqued my curiosity because what I heard so far, sounded both positive and encouraging. 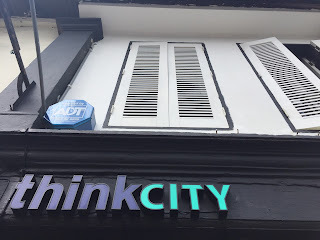 When I set my mind to find out more, I began to have an inkling of what Think City is about even from their tagline: Rejuvenating the City Together. It’s a small agency set up in 2009 by Khazanah Malaysia to examine the effects of global and local urbanization trends. This was done in response to the on-going evolution of cities and urbanization. They recognized that safe, creative, dense and well-planned cities are where people and talents choose to live and work. In short, Think City was established as a city-making institution to support the evolving urban landscape, and to look at ways to make our cities more innovative, resilient and livable. Collaboration is an important part of the Think City philosophy. It encourages people and organisations to “crowd in” so that the burden or challenge of urban renewal was shared out. This would also encourage creativity in new ways of thinking and problem-solving. Think City started out in Georgetown by undertaking a baseline study, to fully understand the city – among other things – who lived there, what people did, how buildings were used. From understanding the city and its challenges, they moved towards incubation where they either initiated projects or helped the community to initiate and carry out their own projects under a Grants Programme. The three common aspects in Think City’s interventions at different cities are, starting with the public Grants Programme followed by working closely with the city government to identify areas where Think City can support their priorities and finally, management initiatives for projects that fall outside the first two categories. a quotation taken from one of my published stories! Each proposed project for the Grants Programme must feature characteristics like being catalytic, inclusive, partnerships, sustainable, developmental and creative/innovative. 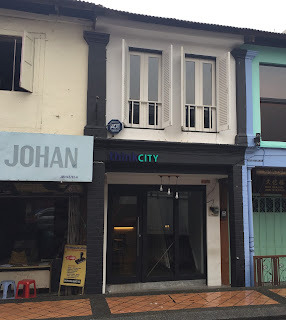 Headquartered in Penang, Think City expanded nationwide to various cities outside of Georgetown, first to Butterworth, then to Kuala Lumpur and now they are in Johor Baru. Think City has opened an office, appropriately in the heart of the JB’s heritage area, at Jalan Pahang. I did not know it then but the team in Think City was doing their homework and stretching out their feelers in JB to seek out areas where they could collaborate in rejuvenation projects. When I was invited to a presentation to showcase our city’s heritage landscape to Think City, I met Faezah Ayub, who expressed her delight in finally meeting up because Think City was keen to touch base with me. As I sat back to focus on the presentation, I was both humbled and elated at such a warm reception. 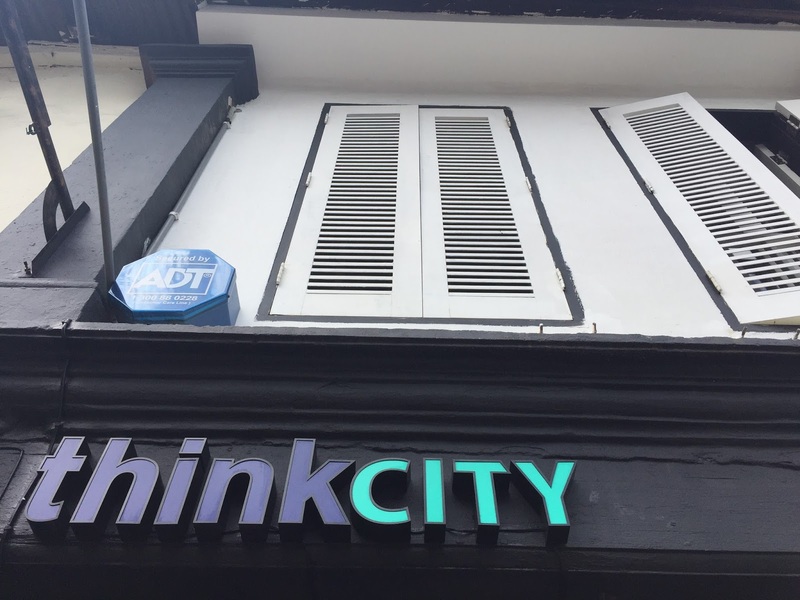 After this first contact with Think City, I later met with its Chief Operating Officer, Dr Neil Khor, who was visiting from Penang, and Programme Manager, Daniel Lim. When I asked the affable Neil for his thoughts about Think City in JB, he had much to share. He said JB’s urban fabric – its streets, monuments, parks and waterfront – all remind him of a Malaysian city that modernized on its own terms. 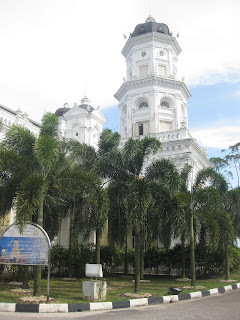 Johor’s royal family led the modernization process by establishing a multi-ethnic community, opened up lands for commercial agriculture, established English College as an educational institution and gave the state a written constitution. Neil commended JB as a uniquely photogenic city with its heritage buildings like the Istana Besar and Sultan Abu Bakar Mosque. He observed how JB’s character and personality is made up of its narrow national border with Singapore and region. He recalled personalities who crossed these national boundaries and made a name for themselves, starting with Han Suyin, the doctor and novelist who wrote, Love is a Many Splendoured Thing. Neil said Think City hoped to capture some of that famous JB personality through community participation. Only then can the rejuvenation of the city have a wider meaning. He said it would become meaningful for Johor if there were opportunities for participation. “Whether you want to write a book about the city, organise events that celebrate the unique features of Bangsa Johor, produce a short film about border crossings, conserve a heritage property or help activate public open spaces,” said Neil because Think City welcomes Johoreans to check out their public Grants Programme and encouraged everyone to take the plunge to rejuvenate the city together! Meanwhile Daniel, who’s based in JB, has been exploring the city and getting to know the happenings around here in the past few months. One of the first things that impressed him when he arrived here was how JB’s strong community pride shines through. He found that the Bangsa Johor pride made JB a very unique city in Malaysia. He said, top of the agenda and fundamental to Think City initiatives in JB, is crowdsourcing and establishing working relationships with everybody here. As there is already a JB Transformation Plan in place, championed by MBJB and IRDA, Daniel believes that Think City can add value by sharing their experiences and best practices gained from working with other cities, and work together with the authorities to make JB a livable international city. They are a small team in JB but Think City is seriously working towards collaborating with the community in various initiatives for the city’s rejuvenation. Think City is clearly getting more visible and slowly but surely, making its presence felt here. For a start, Think City is one of the strategic partners with Johor Society of Performing Arts and the Johor Baru: International Festival City initiative for the 13th Johor Baru Arts Festival, happening in the heart of the city from September 21 to October 8, 2016. Think City supports how the annual JB Arts Festival is moving in tandem with the ambition of the city and concurs that the hallmark of any great city is its ability to connect the arts and culture with the community here. For a long time, Wong Hong Hai, better known as Sea Wong, longed to have a business that combined his passion for furniture, food and beverage, gardening, art and music. His ventures, which started some ten years ago, has its share of ups and downs but Wong remains true to himself. Despite temporary setbacks, he keeps moving forward until he turned his dreams into reality. Behind Wong’s laidback attitude, is a steely determination to succeed. “I’m attracted to simple things that most people overlook – I hope you like it too,” is the thinking which Wong shares with diners at Flowers In The Window. I’ve heard so much about this indoor garden café that I must have my own experience. I head into the city’s heritage quarter and as I hold that spade designed into a door handle, to open the café door, I discover that its gray façade belies the charming garden within. This young Johor entrepreneur has come a long way since he took the brave step to open Roost Juice Bar a retro-themed café at Jalan Dhoby in Johor Baru’s heritage quarter, back in 2005. Besides light meals, cold-pressed juices and chilled fruity yoghurt drinks, Roost became popular for his mother’s recipe Hainanese beef noodles. Wong recreated Roost’s laidback attitude in Roost Repurposed & Recycled Salad Bar, his next outlet at the corner of Jalan Dhoby and Jalan Trus. As its name describes, the furnishing here was handmade by Wong from recycled materials. From lampshades, shelves, tables, chairs to benches, each item was creatively repurposed into attractive and useful furnishings. This became a popular chill-out destination and for art & craft events but space was limited. Then Wong found a bungalow with a garden at Jalan Skudai to showcase his interesting furniture and host bigger art events. He called this Sea & Saw, a destination with a garden setting. He later brought this garden concept to Roost Juice Bar and rebranded it, Flowers In the Window. “I’m in love with green,” declared Wong when I ask him about the garden concept for the cafe. Ferns, greenery and dried flowers are strewn about, hanging aloft, adorning the walls and in pots and enamel jars. With a clientele made up mostly of young adults, Wong aims to educate them about a sustainable lifestyle and show them how cool it is to dine in a space surrounded by greenery. He hopes to send the message that it’s cool to enjoy plants. Flowers In The Window is also a florist where bouquets or decorative wreaths may be made to order or customers may pick from a choice of pretty posies and wreaths of ferns and flowers, arranged by Wong. I can sense the vibe about this cool indoor garden café where furniture is eclectic and handmade and the food, creatively combined into freshly-made, light healthy meals, are served on enamel plates. While Wong is the master juicer who makes the fresh juices and daily stock of signature tangy lemonade, he has some help from Holly Tan to design their weekly specials. I’m pleasantly surprised to meet Tan, who’s obviously English and Wong quickly explains that she’s the wife of his good friend. Tan brings with her a culinary experience garnered from helping her mother in their restaurant and delicatessen near Stamford, UK. She also learnt a great deal about Mediterranean food from an aunt (uncle’s wife) who’s Greek. Every morning, when Wong goes to the fresh market to shop for ingredients, he will call Tan to tell her about what’s available and discuss about the dishes they can create from such ingredients. So diners can expect five to six new and interesting items in the specials menu. Every day, Tan bakes artisanal bread and a range of English cakes that are sold by the slice. She uses edible flowers and herbs in the cakes and drinks. Diners with dietary requirements may inform Tan and she will prepare for them something special on-the-spot, depending on availability of ingredients and time. Besides the printed menu of breakfast, brunch and beverage items, a separate menu – handwritten or typed on a vintage manual typewriter – lists weekly specials of light meals, drinks and English cakes. On such a sweltering day, the tangy homemade lemonade (RM12.90) served chilled is both delicious and thirst-quenching. It certainly whets my appetite for my order of Vegetarian Breakfast (RM16), a light breakfast of poached eggs, cherry tomatoes and plump mushrooms on a bed of zucchini and potato rosti. As customers are welcomed in, the serving staff hands them menus and directs them to a table on the ground floor or up the narrow flight of stairs. These regulars seem familiar with this routine and must have acquired a taste for the fresh herbs and flowers in the drinks and cakes here. I notice lots of orders for Beef Noodles (RM14) coming out from the kitchen and realise that this has been popular with diners since it was first introduced at Roost. Tan’s freshly baked cakes are tempting. I finally decide on a slice of Orange & Rosemary cake (RM13) which she serves, garnished with an edible flower. I dig into the cake and its texture and flavour simply reminds me of England. As I sip my hot Latte (RM9) and nibble the yummy cake, I’m totally charmed by my experience in Flowers In The Window. Slide into wet, wild fun!